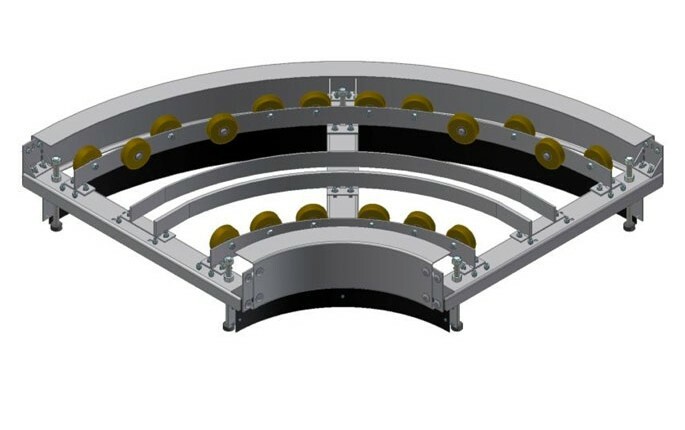 Curve frame construction consists of 1/2” and 1/4″ formed flat bar for guide wheel and support wheel rails. Frame channels are of formed 3/16” HRS. Wheel rails and support channels bolt together using common 3/8-16 carriage bolts and serrated flange nuts. 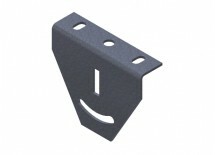 Height adjusting support bolts consist of 3/4-10 hardware and utilize individual rubber isolation pads.